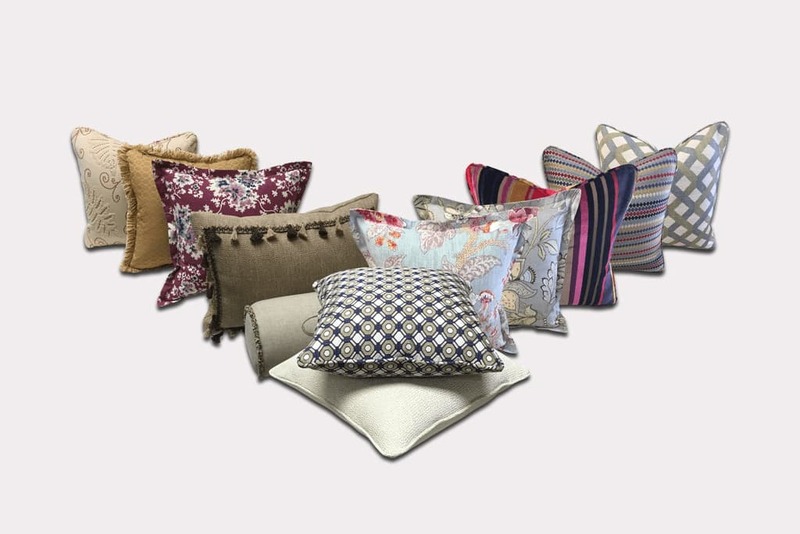 Our custom pillows/cushions are made with your choice of fabric. We have a large selection of indoor & outdoor fabrics in our showroom to best suit your needs. We have a variety of trimming to make your pillow unique. 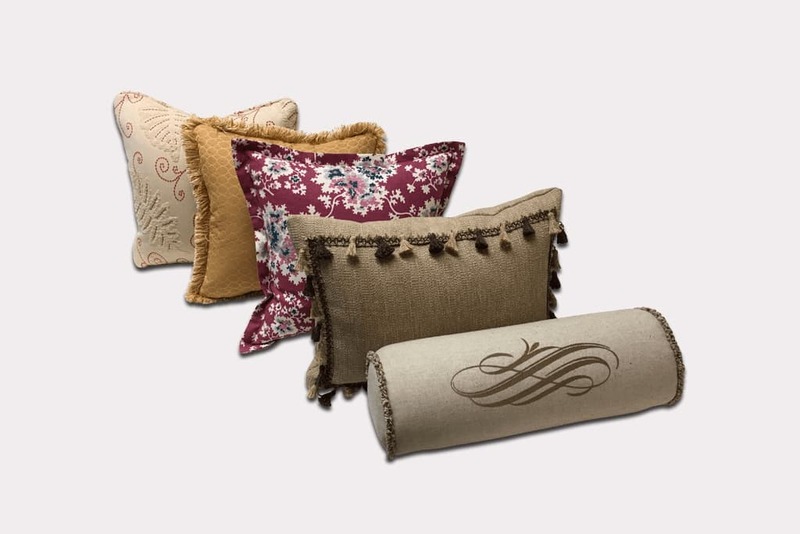 You can select pillow inserts from feather/down blends, polyester fiberfill and indoor & outdoor foam. 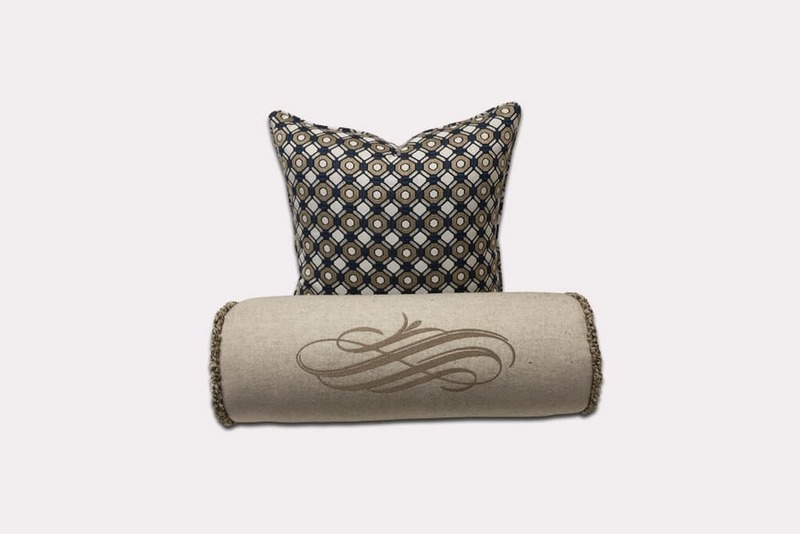 You also have the option to add a monogram design to your one-of-a-kind pillow, which makes it a great gift and adds a personal touch. Please contact us for more information. We will be happy to help with your next project!